The Degler house was the residence of Dr. Ellie Degler, her husband Mark, their two children, and their parrot, Jack. It was a standard American two story house with hanging light fixtures and a wooden banister on the staircase. 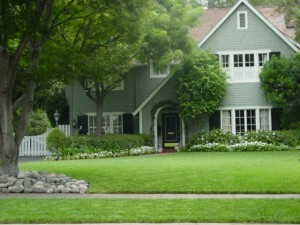 In 2001, Charlie Degler was seen playing in the house’s front garden with some toy dinosaurs, before Dr. Alan Grant joined Ellie for dinner in the dining room. Later, Charlie was seen watching an episode of Barney and Friends on television as he answered an urgent phone call from Dr. Grant, who was struggling for dear life on Isla Sorna. A non-JPIII shot of the Degler family’s home.